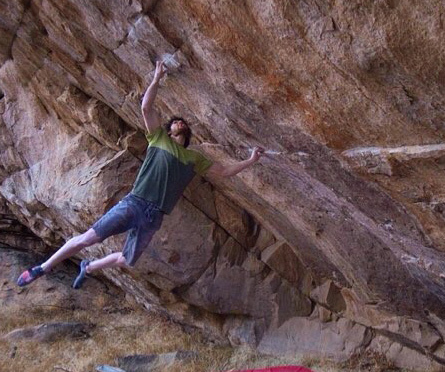 Just a few days past a year since Daniel Woods did the first ascent, Jimmy Webb has done the 2nd ascent of Defying Gravity in Colorado’s South Platte. 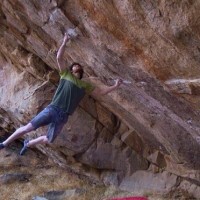 You’ll remember that Defying Gravity is that crazy looking problem that involves back to back improbably long moves up a huge sweep of overhanging stone. You can see footage of Woods’ FA of this problem in the movie Huntsmen, which is available for download on Vimeo for $14.991. After several days of work last season I felt really close on a subtle double clutch method that felt like the most low percentage move I’ve ever tried. I went through a roller coaster of emotions questioning wether or not the dyno was possible for me. In the end, on my first day back this season, I was able to unlock the beta and finally connect with that intro move! What a feeling!! !